Remember enjoying shaved ice as a kid? That slushy pile of ice with a flavored syrup poured over it was always such a treat. Now you can enjoy it in alcoholic form. 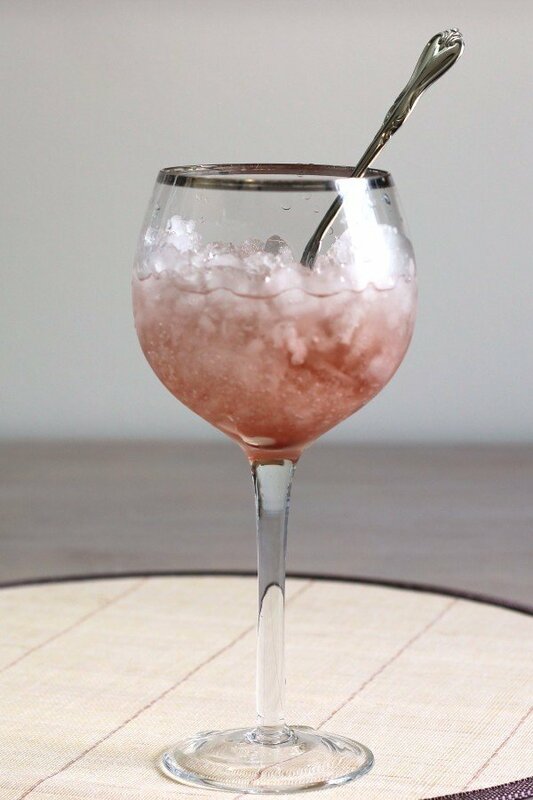 The Pavlova Supreme cocktail recipe calls for you to simply pour the alcoholic ingredients over shaved ice in a wine glass. 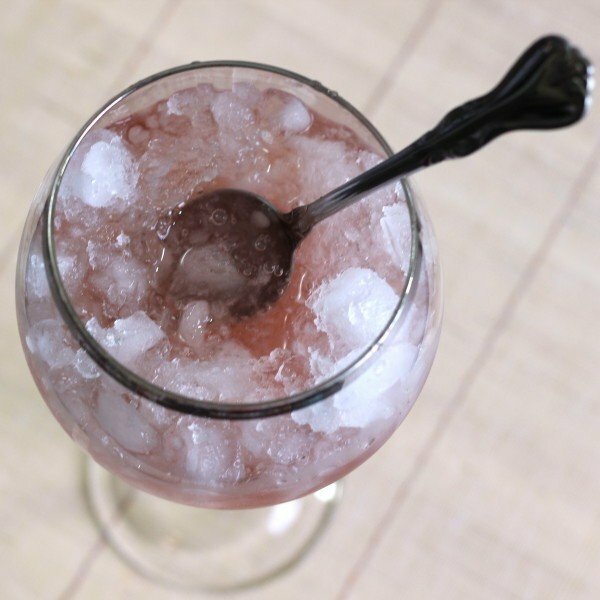 It’s simple, classy and very grown-up – for flavor, you have only half an ounce of creme of cassis, rather than some sugary syrup. And yet, this is childhood revisited, and even more fun. 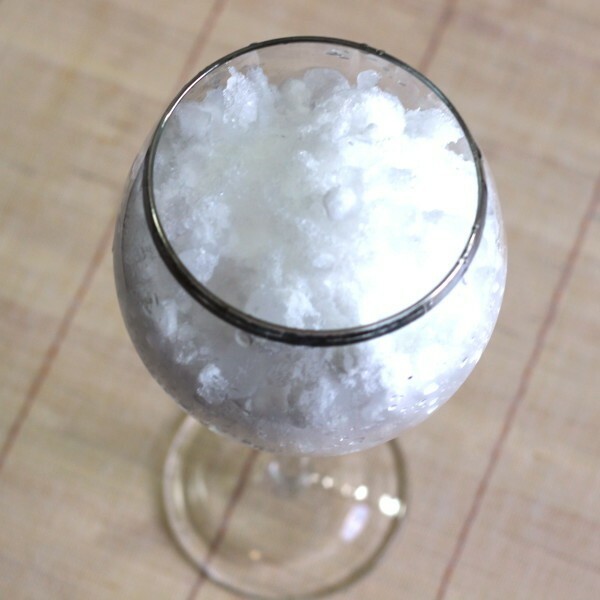 With both a wonderful flavor and tremendous visual impact, it makes a terrific dessert drink for guests. To make shaved ice at home, I use a hand blender. I don’t think mine is made anymore or I’d link to it, but it was cheap and it’s held up for years. I get crushed ice out of the refrigerator dispenser and then crush it until it’s snow-like with the hand blender. You can also do it in a regular blender, but I find parts of it often liquify – the hand blender is easier for me to control. 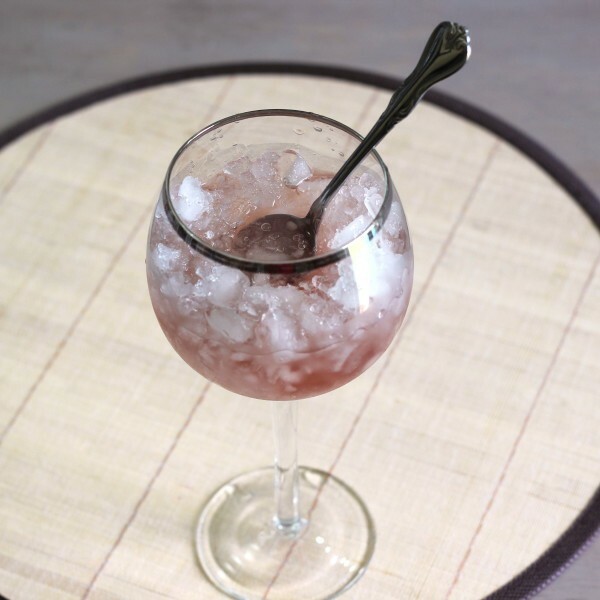 Fill a red wine glass with shaved ice. Pour in the creme de cassis, followed by the vodka.